Community Living was formed over 50 years ago by groups of dedicated parents who saw the need to come together to provide community support services to their children and future generations. Parents and family members continue to be the backbone and the strength of our movement. They continue to serve as members of the Board, on committees and as much-needed volunteers. 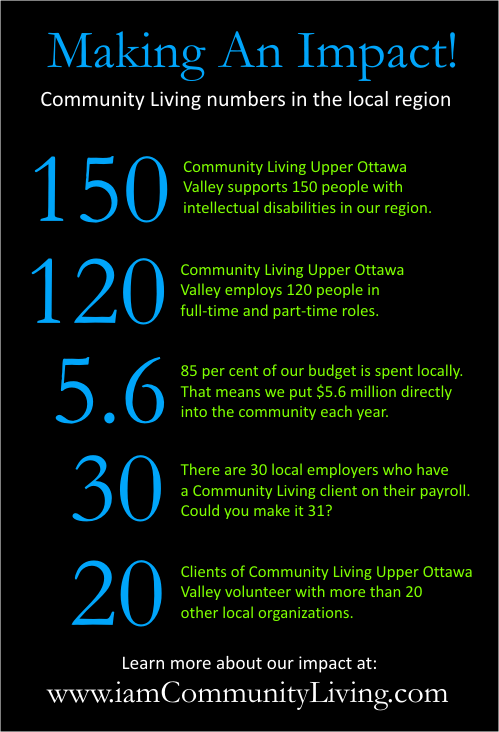 Our success has been based on the hopes, dreams and necessities of people who live with an intellectual disability. For more about our history, please click here.